Justice KS Radhakrishnan, who delivered the landmark judgment banning bull-taming sport jallikattu, has moved the Supreme Court against a notice issued by the Madurai bench of Madras High Court in relation to the PETA award he received in 2015. The Madurai bench issued the notice to Justice Radhakrishnan, Secretary to President of India, Ministry of Law and Justice and People For Ethical Treatment of Animals in a PIL filed by Salai Chakrapani seeking a direction to Justice Radhakrishnan to return the PETA ‘Man of the Year’ award given to him in 2015. In the petition, Justice Radhakrishnan submitted that the Madurai Bench failed to appreciate the constitutional protection guaranteed to the judgment passed and to judges. “The Constitution provides greater protection of Judges for the actions carried out by them in their judicial capacity. Article 124(4), 121 and Article 211 of the Constitution provides protection for the procedure to Judges of Supreme Court and High Court. It clearly shows the level of independence and autonomy awarded to the Judiciary,” it said. He also cited Section 3 (1) of the Judges (Protection) Act of 1985, which says that no court or any forum can initiate civil or criminal proceedings against judges on acts done in the course of his judicial functions. The petition also stated that some prayers in the writ petition were not maintainable against him, as he no longer holds office as a judge, and is merely a private citizen of the country and, therefore, not subjected to the writ jurisdiction of high court. 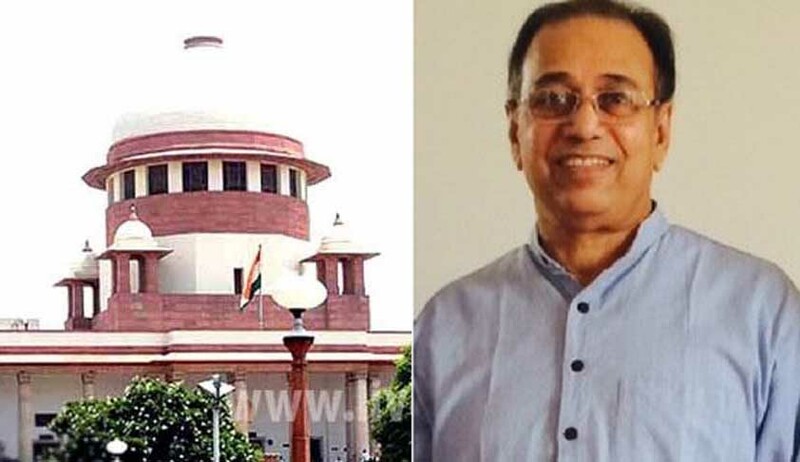 “The Petitioner in order to make the Writ Petition maintainable, initially made the Secretary to the President of India as a Party but later that Party was deleted. The Ministry of Law and Justice has no role in the Writ Petition but was made party so as to see that a Notice is issued to the Petitioner”. He also submitted that the petition was filed almost three years after the jallikattu judgment (Animal Welfare Board of India Vs A Nagaraja), almost two years after he was felicitated with the PETA award and three months after the dismissal of review petition in the case by a Supreme Court bench in which he was not a member. He was facilitated with the PETA award after nine months of his retirement. He also mentioned that the Judgment attained finality as the review is dismissed by a speaking order. The petition was mentioned by Senior Advocate Sidharth Luthra on Friday and Supreme Court is likely to hear the matter on Monday.